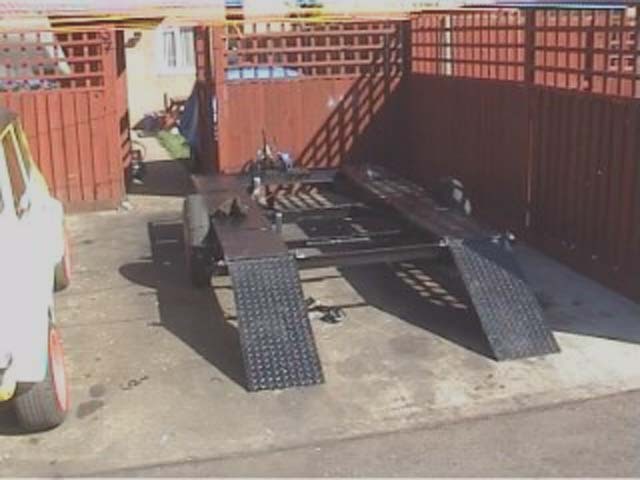 The shortened and widened caravan chassis, looking like a trailer, waiting for it's first visitor ! 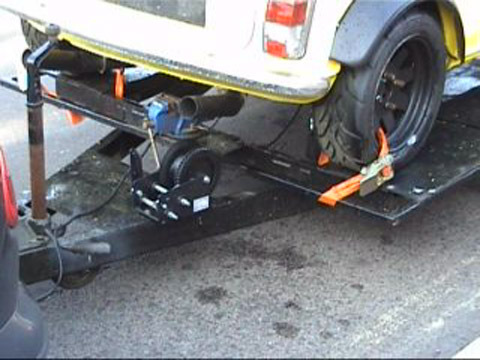 As we have adjustable legs on each corner, it's easy to use the trailer as an adjustable angle work ramp, ideal if you have to drain out a 2 gallon oil system ! 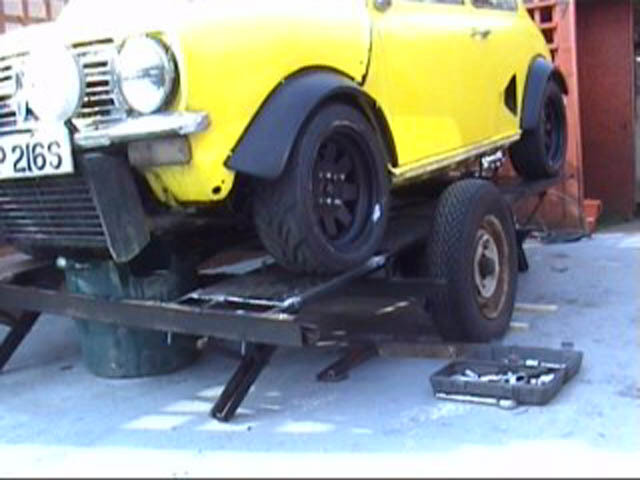 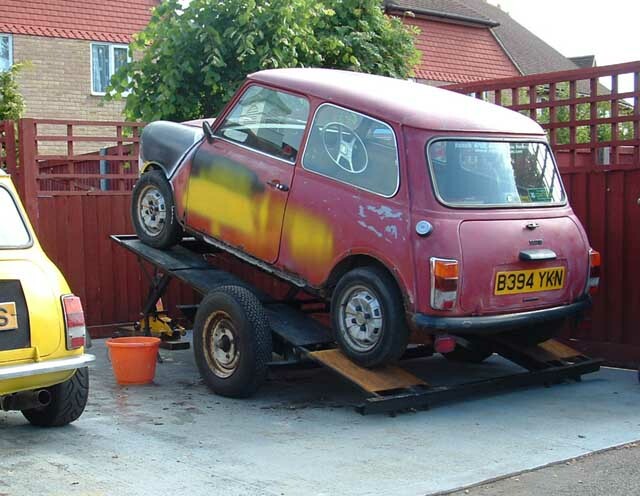 Or if you need more access to work underneath the car, then a bit of tilting seems to do the trick! 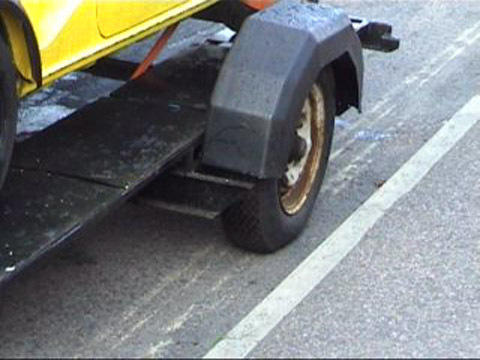 The centre of the trailer is open so there is good access under the car. 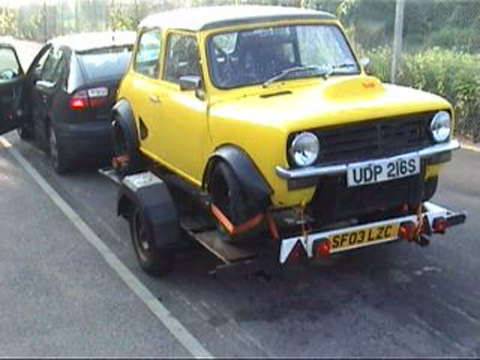 Doris fully loaded onto Pete ready for the first test - a 170 mile to Bruntingthorpe near Leicester. 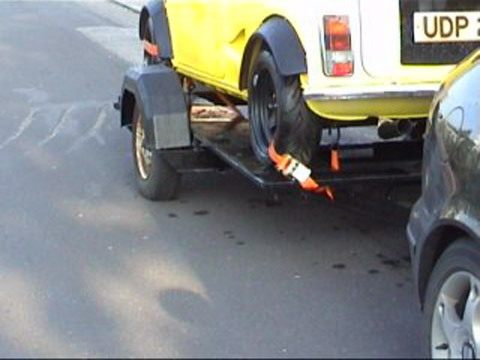 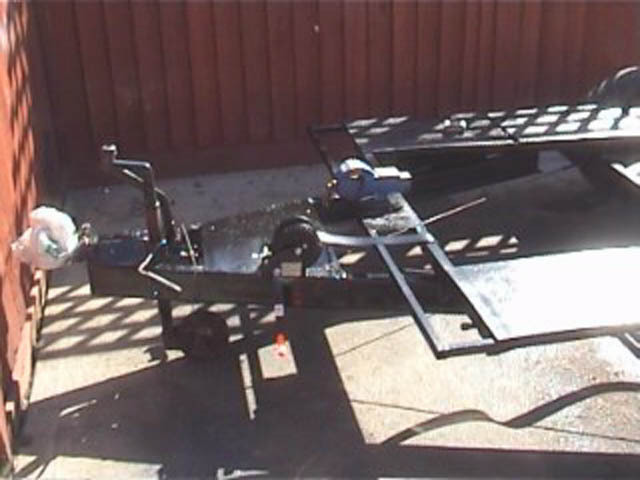 Slightly larger (£35) winch added for easier single person loading. 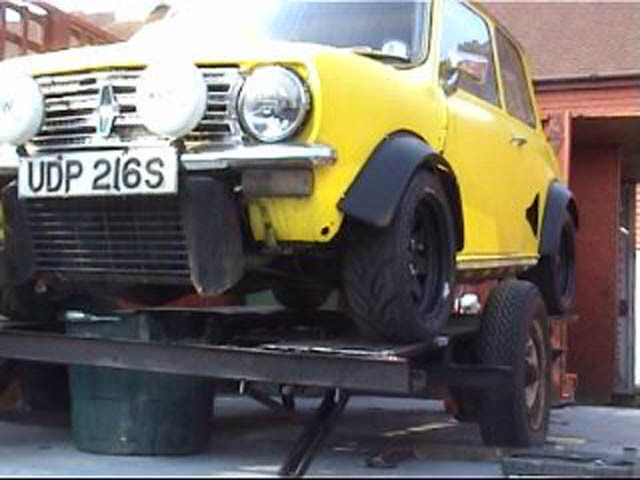 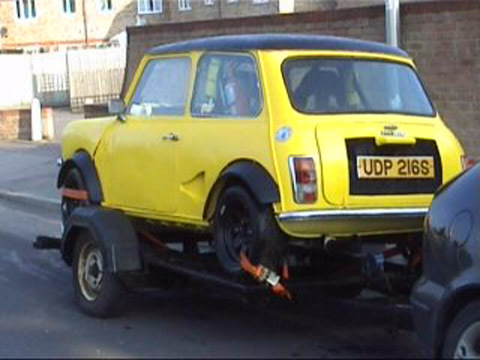 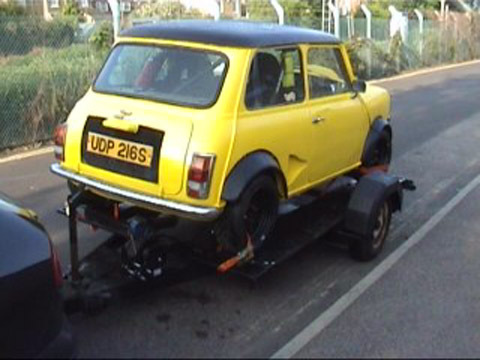 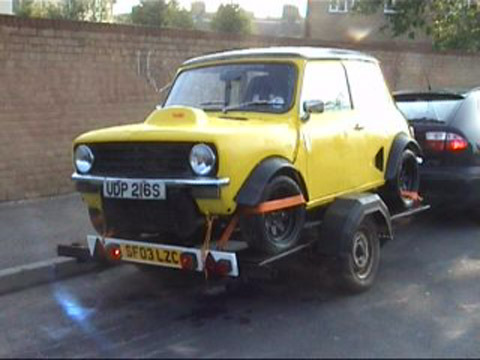 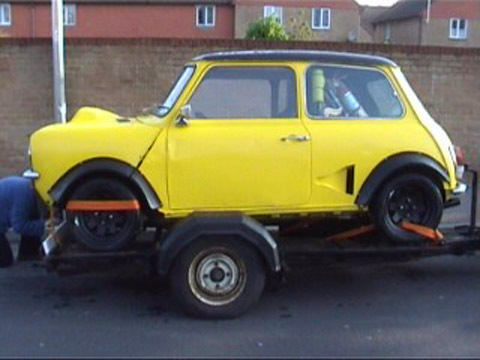 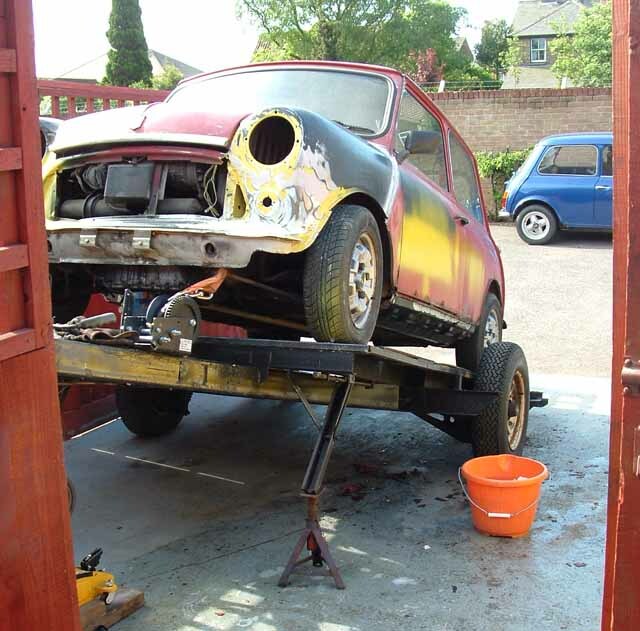 Trailer tyres look pretty healthy, and the nose weight seems OK.
Not bad, a car transporter trailer for less than £150.